The Valkyria Chronicles 3 Translation Project has released a working patch translating the game's text into English. Back in the dark early days of the PS3, Valkyria Chronicles was easily one of the console's best exclusives which, sadly, did little for its sales in the United States. The game was, initially, a notorious bomb in America, selling a mere 33,000 units in its opening month at American retailers. A price drop would help it gain momentum later on, but it and its PSP-based sequel never attained the popularity that its publishers at Sega were hoping for. 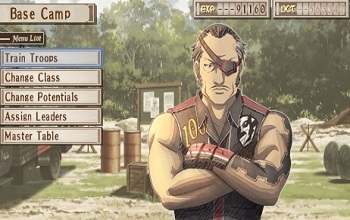 In turn, Valkyria Chronicles III, the franchise's second PSP game, was never localized for English audiences. Despite the franchise's poor western sales, it still had its fans however, some of whom decided to commit themselves to making the third game accessible to English speaking gamers. Dubbing themselves the Valkyria Chronicles 3 Translation Project, these fans have toiled since 2012 to create a patch that would turn the Japanese text to English. In case, you were wondering, it's a goal they recently accomplished. In a blog post the team confirmed that it's finished a working version of the patch compatible with the digital version of the game on both PSP and Vita. The patch does come with some caveats, of course. For one, it does require custome firmware on your handheld, something that some will likely be uncomfortable with. Besides that's, the patch is only intended for the Extra Edition of the game and still has a few sections of Japanese text that will be ironed out in a later version. That said, if you loved the first two Valkyria Chronicles games and were disappointed by Sega's decision not to localize the third, here's your chance to find out what you were missing. The patch and installation instructions can be found at the Translation Project's website.